In our second post we will look at the Asian and North American manufactures who launched products at the show. Hyundai showed this body kitted version of their soon to be launched Genesis Coupe which has been seen in North America. The Kia-Hyundai group continue to launch massively improved cars.I can’t get use to that rear quarter window! Looks like a well designed Prius a bit doesn’t it? Well, the similarities do not end there. 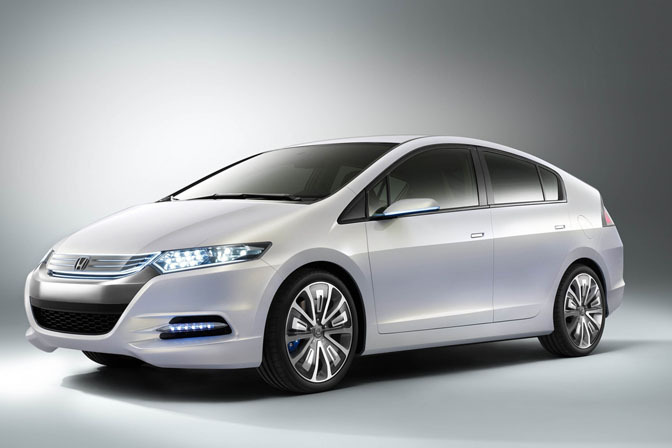 This is Honda’s new Hybrid. Although shown in concept form this car will go into Production. Its a very clean design but the influence of the Prius is very clear. This could be a massive hit for Honda. I wonder how long it will be before the aftermarket or racing community will start looking at these? 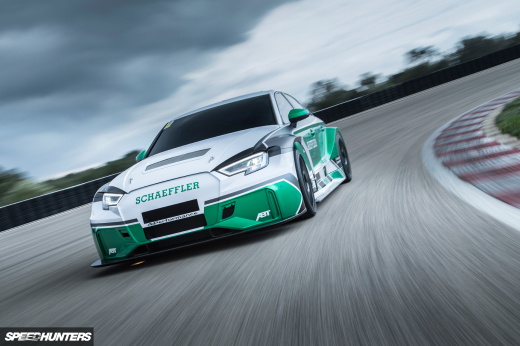 West Coast Customs and Mooncraft have previously showed Prius Project cars, while Toyota GB have rallied one! Times are changing. 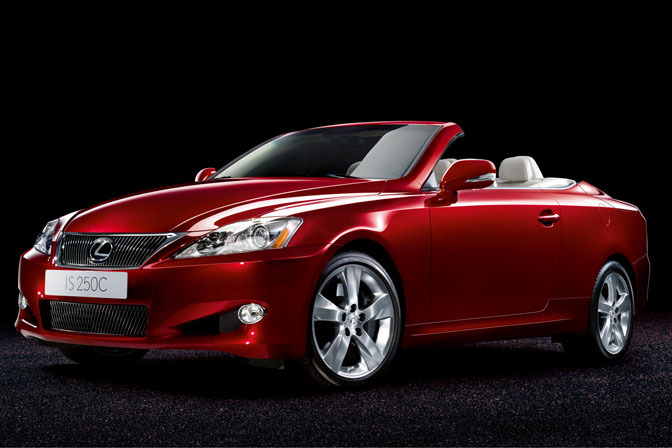 The Paris show also sees the world premier of the Infiniti G37 Convertible, featuring a retractable hard top. This style of convertible is very popular in Europe with most major manufactures having at least one ‘CC’ in their range. I’m sure this will make its way across the Atlantic, where the Infiniti brand is well established. Infinite are not the only manufacture with a ‘Coupe Convertible’. 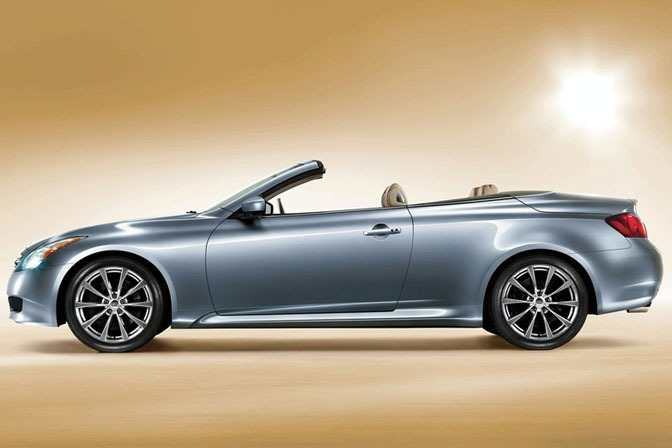 Lexus gave Paris the world premier of the 2 door IS convertible. Shown in IS250 trim, which is the popular engine choice in Europe. 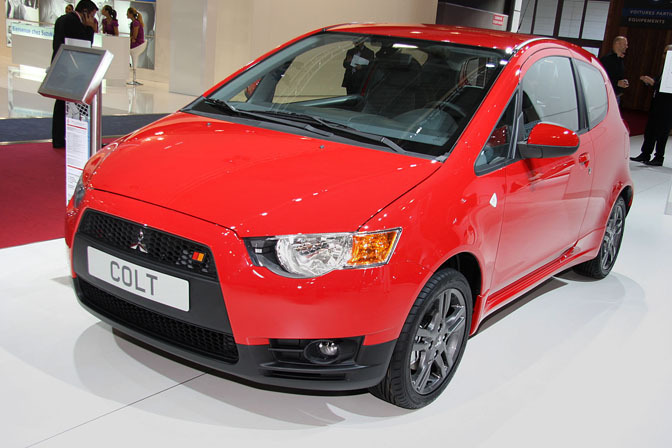 Mitsubishi have launched a new hatch variant of the Lancer for Europe. Hatchbacks are very popular in many markets throughout Europe. In the UK, Saloons (Sedans!!!) 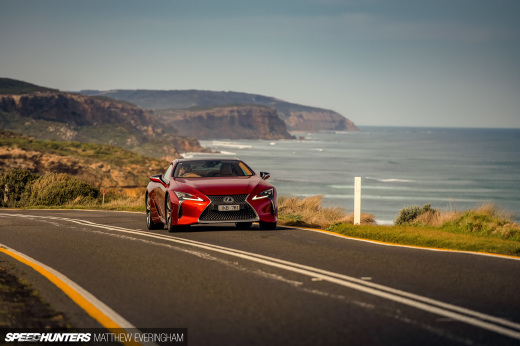 are very rare, so it makes sense for Mitsubishi to expand their range. 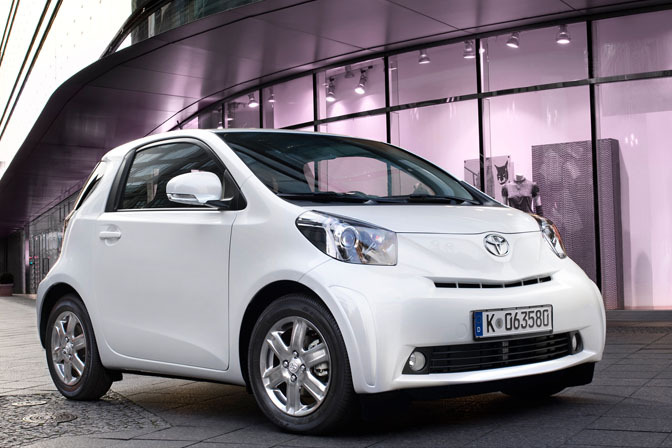 I wonder if an Evo X variant will appear…..
We showed this in our London preview, but the new Toyota iQ comes to market in Europe and is an obvious competitor to the Smart. Powered by 1.0 VTTi engine and returns 65mpg! 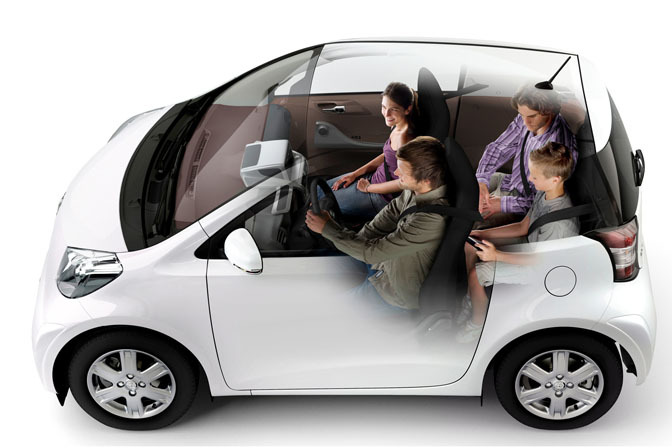 Look inside and you will be surprised to find its a 4 seater! One up on the Smart. I think you need to be good friends though! Onto North American owned manufactures…. As you will know Ford Europe has a separate range of vehicles to North America. Plans are for some of the European vehicle to be available in North America as people down-size. 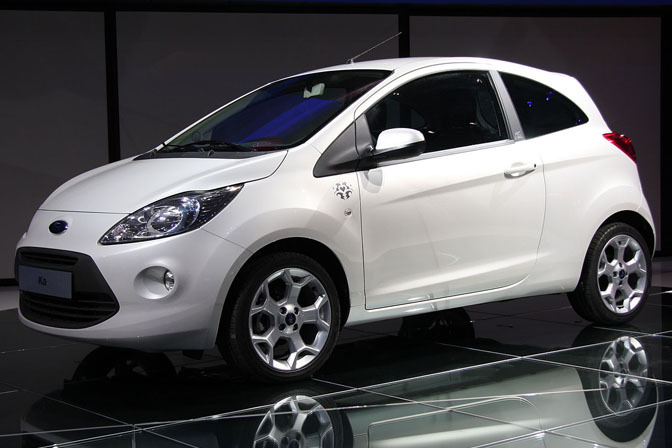 The Focus and Fiesta are rumoured to come across the pond. The next model down is the Ka, which has also been available in some South American markets. The Ka and the Fiat 500 are the same car under the skin, and built in the same factory. However, very different styling. The Ka will be popular, but I find it a bit disappointing compared to the distinctive styling of the first generation model. The styling follows the theme of the Focus and Fiesta, but the gaping mouth is too over-sized for this small car. I’ll have the Fiat please. Last but not least is the European debut of the Chevrolet Volt. 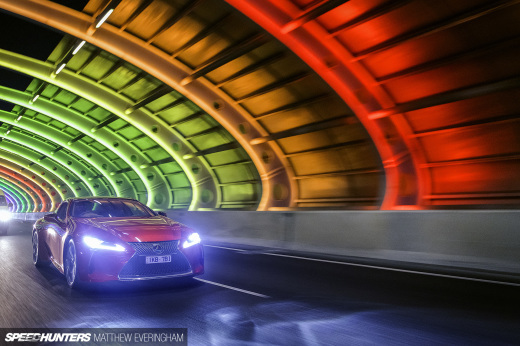 The design has lost some of its character, compared to the concept, but like the Prius, there is no mistaking that its different. In these changing times, GM are banking on the public choosing this over other Hybrids. 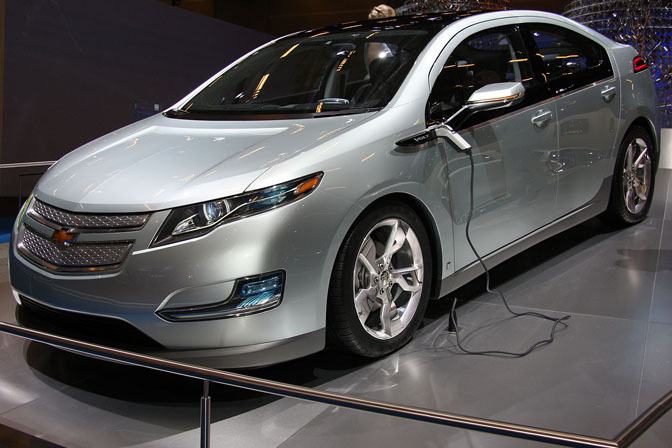 The Volt is powered by an Electric motor at all times with the petrol engine kicking in when the battery is depleted. Overall, its clear that manufactures are putting all their resources in more affordable, smaller vehicles. However, for me, the two stars of the show appear to be the Lamborghini Estoque concept and the Citroen Hyphos Concept. The most significant could well by the Honda Insight. Next Motor Show is Los Angeles in November, when the new 2010 Ford Mustang gets its debut. 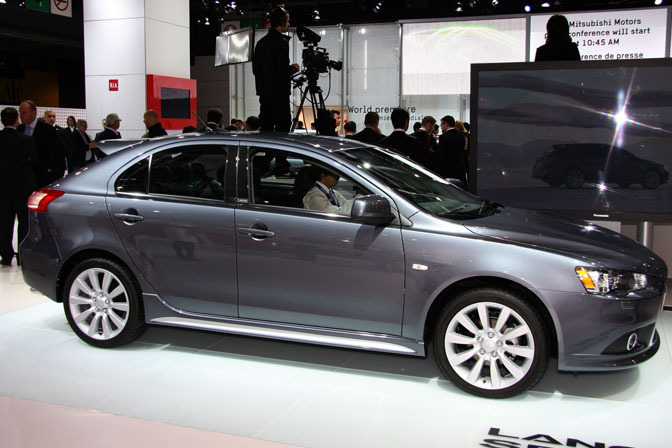 regards to the lancer sportback. no there will not be an evo variant but there already is a Ralliart version which is the same as the new turbo 2.0 AWD 09 Ralliart that was just released. for now, I would agree, but never say never. The hatchback is very popular in Europe, one of the reasons Subaru went that route. 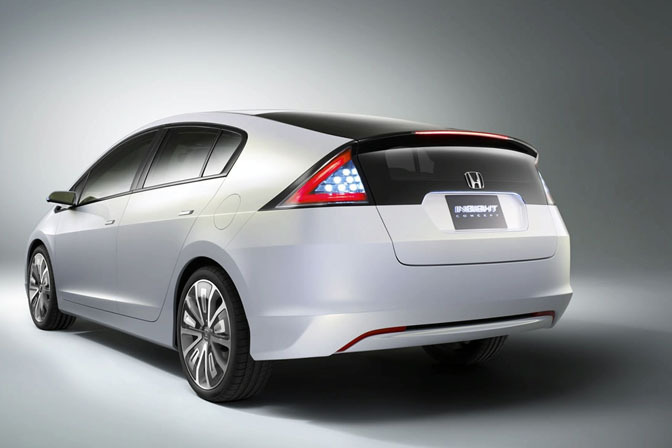 Love the Honda Insight and the new Hyundai Genesis Coupe. Hope Hyundai bring the Genesis Coupe to Australia... gotta drift that thang!!! man i just hope lexus just comes out with a 2 door coupe of the IS, thats it. Hope they make an IS-F coupe/'vert! Hey Andy, Any of you guys going to cover SEMA? lancer sportback.....bringing (an) ugly back!! yep!! This Ka has a diferent kind of use, instead of be the second car of the family, it is a car to the ones who are with "short money".